Twitter is nowadays a great medium of expressing your feelings. People all over the world tweets about their ideas, views and feelings. Celebrities use this social media platform to engage with people. Share their thoughts, emotion and reaction about something. 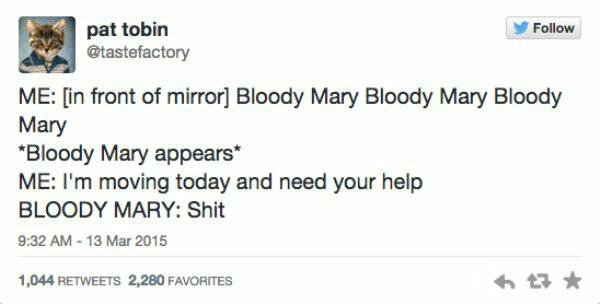 But sometimes the twitter can be a great funny place for all of us. How it is possible? 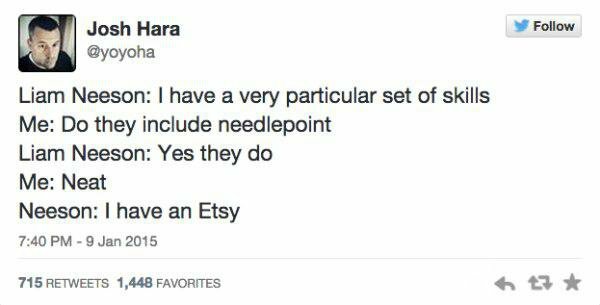 The answer is very simple, some funny tweets make us laugh everyday. Some humor, seriousness or awkward things are shared every day. People roam around the profiles just to find something like this. It changes their mood and it is really worthy. It is a very good sign. Twitter is becoming a great social media of fun and entertaining day by day. Every day people throughout the world tweets about jokes, funny stories and incidents those will make you laugh. 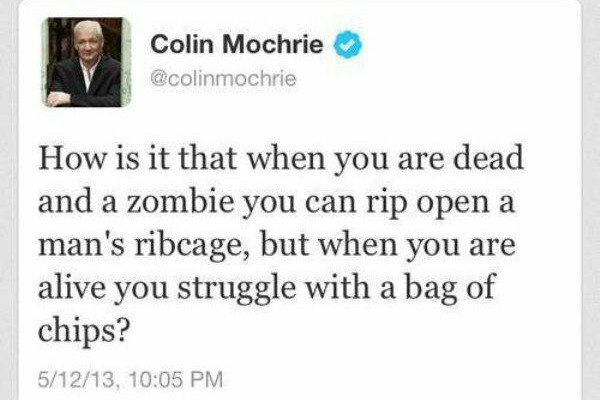 How is it that when you are dead and a zombie you can rip open a man’s ribcage, but when you are alive you struggle with a bag of chips? 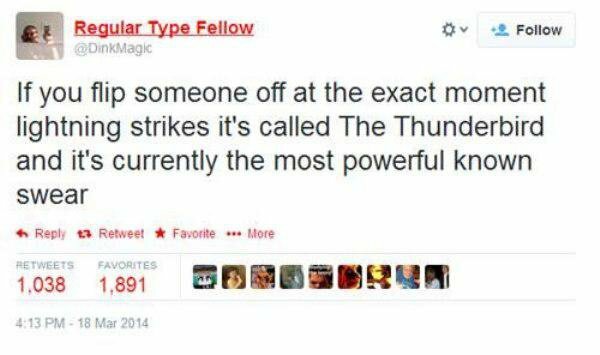 If you flip someone off at the exact moment lightning strikes it’s called The Thunderbird and it’s currently the most powerful known swear. Damn girl are you from Tennessee? Because you have several outstanding warrants from the Tennessee court system. Step out of the vehicle. 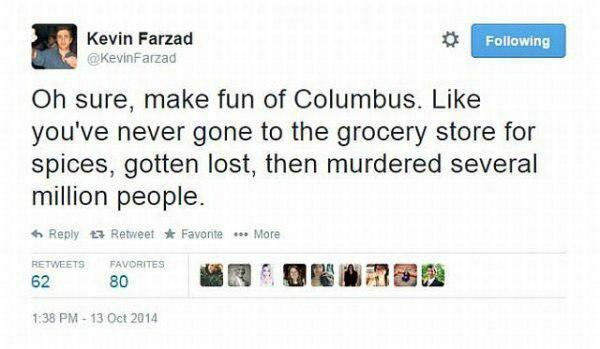 Oh sure, make fun of Columbus. Like you’ve never gone to the grocery store for spices, gotten lost, then murdered several million people. 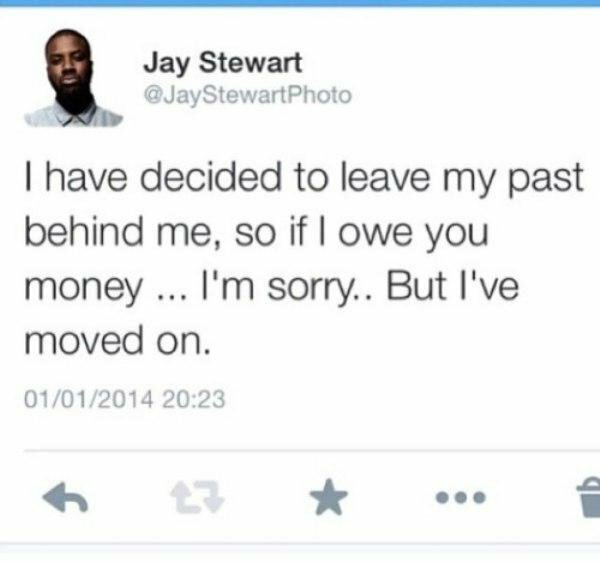 I have decided to leave my past behind me, so if I owe you money …. I’m sorry .. 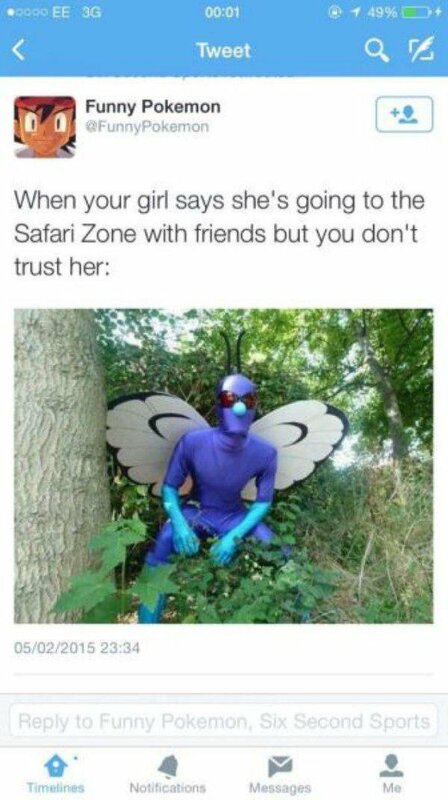 But I’ve moved on. So if Humpty Dumpty is an egg, what species is the thing inside him? Another egg? 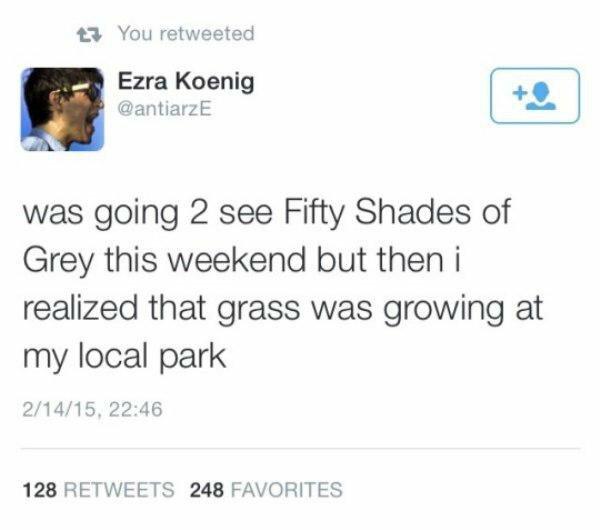 was going 2 see Fifty Shades of Grey this weekend but then I realized that grass was growing at my local park. 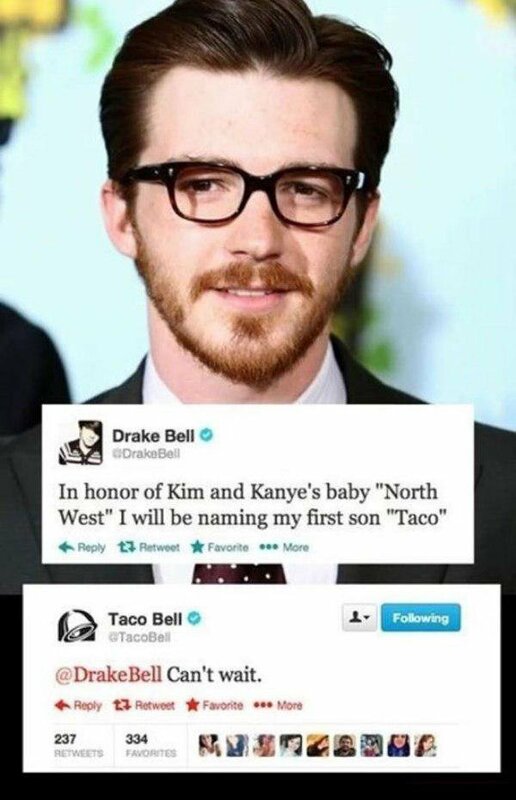 If you like this post, you’d surely like Celebrities Last Tweets – Final one before death. Don’t miss Photo Leaks Not Needed at all For The Sexiest Kate Upton . Eyes are the mirror of souls and the killer of million of hearts. Don’t miss the Beautiful Eyes. 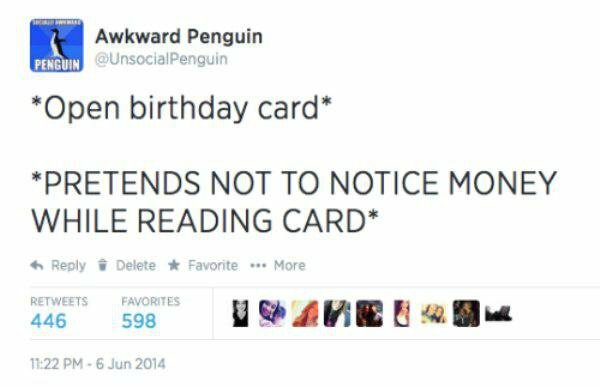 Here at Briff.me, knowing that our precious time together on Earth is waaay too short for a long feed, we bring you the best of the best, like this special briff about the Funny Tweets. If you want to get more posts like this, click like on the Briff.me Facebook.